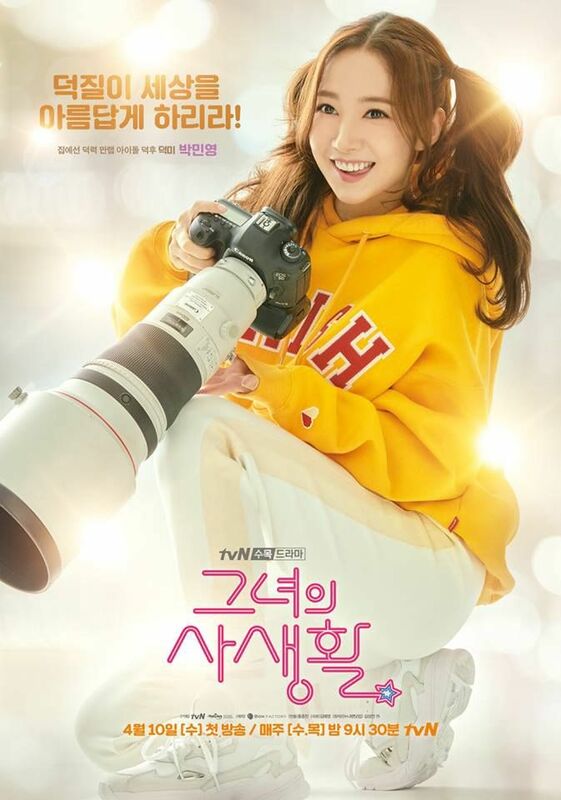 Based on the popular webtoon, “Noona Fan Dot Com” by Kim Seng Yeon, this is the romantic story of a woman who dedicates her entire life to a celebrity only to be blindsided by her overbearing, handsome new boss who finds out about her fangirling of a younger pretty boy of the famous boy group called White Ocean. Seong Deok Mi is an art curator for a prestigious art museum during the day and the loyal manager of the pop idol Cha Si An’s fansite at night. She uses her business trips as excuses to catch glimpses of her Cha Si An, treasures her high-powered camera to capture the clearest picture of her prince charming only to photoshop his photos before publication, and goes on the fangirl version of a pilgrimage to holy places Cha Si An’s feet have walked upon. Her new boss, Ryan Gold, a genius artist from America who discontinued painting for mysterious reasons, clashes with Seong Deok Mi the first few times they interact, revealing the sexual tension behind all that “interacting.” Through Cha Si An and a coveted painting by an unknown painter, Ryan Gold and Seong Deok Mi become more connected outside of their professional lives. Ahhh, Korea, I have missed the -ahhhs and -ohhhs of your language. I’ve been watching so many Cdramas lately that I feel like I cheated on the type of show that introduced me into the addictive world of International dramas. The credit goes to the specific drama of Boys of Flowers but that was 5 years ago so my taste palate for shows has broadened all the way from Korea to Turkey. I was hesitant about starting this one since it sounded a bit cheesy. 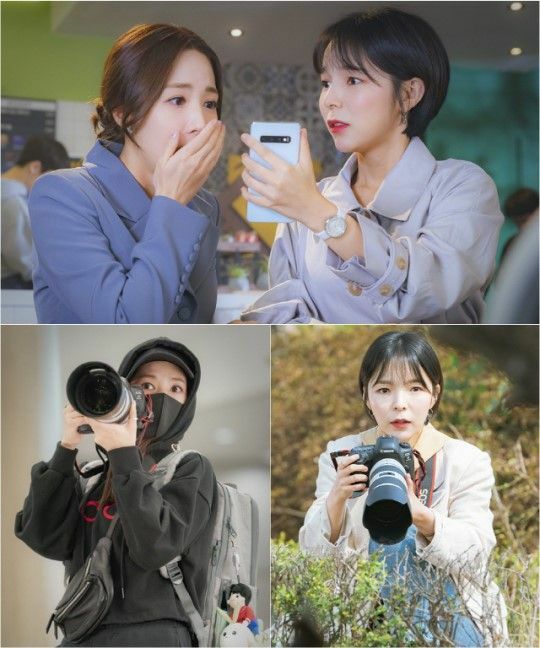 The story plot of fangirling has a higher possibility of being unnecessarily exaggerated in which the comedic relief feels more like stupidity and the dramatics are the side effect of bad acting. I’m glad that I did watch the first two episodes of this new show. 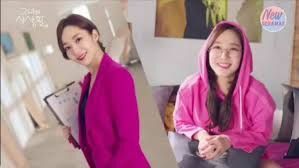 There is nothing amazingly unique about it, but the cliches’ are kept to a minimum while the female protagonist is well written and portrayed by experienced actress Park Min Young whom I love from Healer. I’ll be recapping both episodes each week so if you ever miss some episodes, I’ve got you covered! Let’s start with the first two episodes which included Hilary Clinton pant suits, an expensive painting of either glass balls or bubbles (I couldn’t figure it out), and the amazing hair of fictional characters that never seems to frizz or lose it’s well-crafted shape. Another romantic comedy to ruin my view of realistic men and #IWokeUpLIkeThis! We are introduced to Seong Deok Mi as the head art curator of Cheum Art Museum. Park Min Young rocks that all white pantsuit while being the sophisticated docent to museum visitors and donors and then kills it in the jogging suit while she stays up all night setting up an art exhibition. That camera is not photoshopped. That is seriously how long her professional camera is as she stands on a ladder after escaping from the art exhibit to take pictures of celebrity Cha Si An before his concert. This is where we find out how seriously this woman, not girl, WOMAN, or NOONA, takes her fangirling. That camera is her lifeline to her unrequited love. Skip over to NYC, we are introduced to unnaturally hot 32-year-old Ryan Gold who is THE art critic. We follow him through an art gallery and then to a therapy appointment where we learn that he stopped painting 3 years ago after getting affected by a certain painting he finds out that singer Cha Si An has collected in Korea. There is also another version being sold at an art auction in Shanghai. 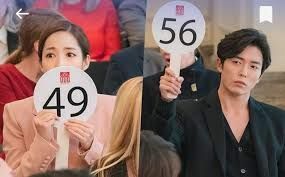 Seong Deok Mi and Ryan Gold fight it out trying to buy the same painting at the auction. When Ryan Gold wins by offering up more money, Seong Deok Mi is turned down when she tries to reason with Ryan Gold to give her the painting. She embarrasses herself by staring at him thinking he looks so much like her idol Cha Si An and calling him inexperienced in art critiquing. Big Mistake. Big. Huge. (Walks away with shopping bags while whistling Pretty Woman). 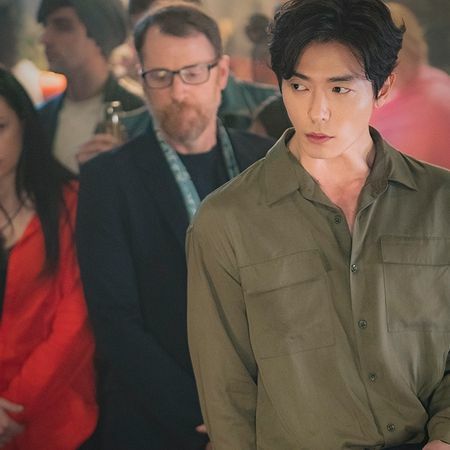 When Ryan Gold arrives in Korea, he ends up getting up caught in the crowd of fangirls who are chasing after the pop idol Cha Si An. He is knocked over into Deok Mi who is dressed in all black with her face covered so no one can recognize her. She falls on top of him, rips his jacket, and drops her notebook as she falls on top of Ryan Gold. He’s not any nicer at the second impression since the first in China. Deok Mi is promised by the Director of the art museum who is resigning due to a financial scandal that she will be the one chosen for a promotion as the new art director. 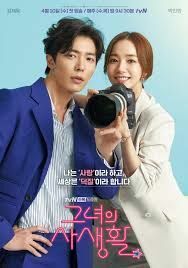 When Deok Mi arrives at the Museum the next morning, she learns that Ryan Gold is the one chosen as the new director whom she must work under. After finding her anticipated new job position taken by the cruel man who insulted and almost knocked her over, Deok Mi is not having so great of a day. She decides to take a trip with her best friend who is equally obessesed with Cha Si An to the VERY expensive hotel room Cha Si An stayed in. Also, the same hotel Ryan Gold is staying at. Ryan Gold sees both girls together and assumes they are romantically involved. Amazing how an angle of a camera can insinuate the strangest of situations. Deok Mi argues with Ryan Gold about the business side of the privately owned museum versus the more public approach the new director is taking. 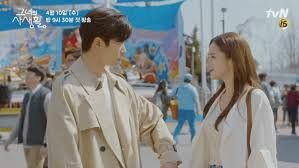 Next, he finds her searching through his desk for her lost notebook he picked up when he bumped into her at the airport. Finally, Ryan Gold makes the mistake of thinking Deok Mi stole the exhibition plans off his desk. What would any unfairly suspicious boss do? Fire the employee on the spot. So, Deok Mi is left as a barista at her best friend’s coffee shop. 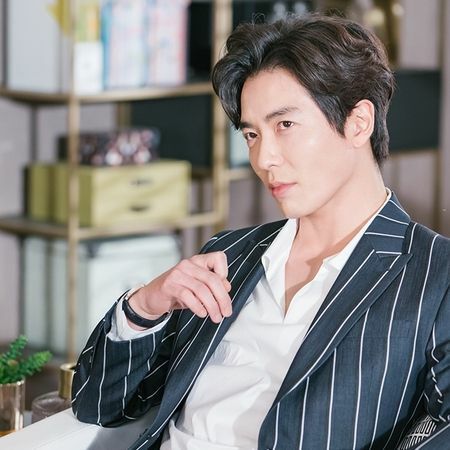 Ryan Gold goes to apologize to Deok Mi when he learns the truth about the stolen exhibit plans. However, she doesn’t plan on going to back to work for him. Planning on revenge, she puts coffee in his usually decaffeinated drinks. She finds him almost on his death bed when he has a bad reaction to the caffeine. Ryan Gold wakes up in the middle of the night to find Deok Mi by his hospital bedside holding his hand. We find that while having a nightmare, Ryan Gold gripped onto Deok Mi’s hand thinking it was a female figure walking away from him as a child in the rain. He seems touched by this gesture of hers and implies to her that she is rehired even though she almost accidentally committed manslaughter. We are left with Ryan telling Deok Mi that they are going to visit a collector tomorrow who just happens to be her fantasy hubby, Cha Si An. Ryan Gold is at home staring at the painting he got at the chinese art auction that is connected to his inability to create art. Deok Mi is watching a Cha Si An video for the upteenth time trying not to panic about meeting the man she worships. All in all, I have pretty high expectations for the entertainment value of this show. I enjoy the cute effects that give credit to the inspiration of this storyline to webtoon like fantasies of a confessional at a church in her pink pantsuit or fireworks above her head as she imagines being the director of the art museum and having an entire Cha Si An exhibition. I’m pretty immune to the cold, overbearing unfriendly male leads at the beginning, but I always soften up when their hearts start to melt for the adorkable female. I am very much anticipating Deok Mi visiting Cha Si An’s house. Her reaction will literally be like a Jewish person finding the ten commandments. All her praying to the kpop idol gods and pilgrimage to the holy lands will now be payed off. She will be following the steps of the deity named Cha Si An. Is this first impression good enough to commit to another romantic comedy? So far, yes. 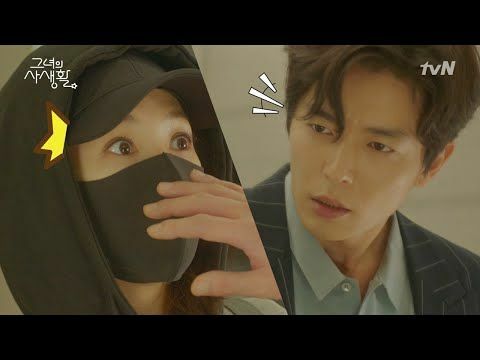 This entry was posted in Discussion Posts, First Impression, Recaps & Other Thoughts and tagged First episodes, Her Private Life, Kdrama, Kim Jae Wook, Park Min Young by LittleRuzi. Bookmark the permalink. Thanks for the recap of the first two episodes, LittleRuzi! I loved watching it and was LOLing so hard because I can so relate! Except I don’t live in Korea so I can’t follow my bias around as much as I’d like and I cannot afford that bazooka of a camera. I did, however, make a pilgrimage to South Korea, particularly Busan, the land of my bias’ birthplace, and bought pretty much everything he endorsed, including winter jackets that cost me an arm. I even attended some awards show just to catch a glimpse of him. I may have been seated so far away that he was just a stick figure I could easily cover up with a finger if I stick my arm out in front of me, and I did not understand anything during the awards show (sure took subtitles for granted and almost half expected them to pop up right in front of me in real life), I was not fazed and was screaming like a banshee just to be under the same roof and same space as my bias. When he came to Australia, I spend a leg purchasing grade A concert tickets and made a slogan complete with flashing lights (I had never done one in my entire life). I have his merch all over my bedroom and some littering the lounge. My phone is filled with many screen shots of him and my home screen is, of course, a pic of him. BUT … being a woman in a professional field, I gotta keep all that quiet and secret. My home screen pic of him is a drawing/anime version just so people don’t give me looks for having a pretty and much younger guy’s face on my phone screen. Seriously, I can so relate to Her Private Life. Now all I need is a handsome man cross my path and my life will be complete. Girl, you need to write a memoir and have australia make a downunder version of this fangirling storyline. I would totally watch without the needed subtitles as an added bonus!